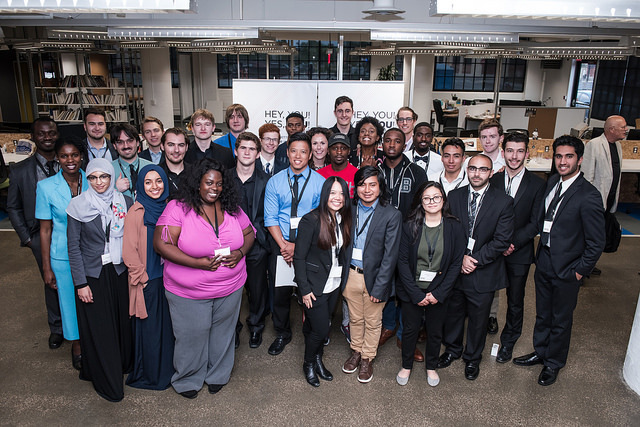 DTX Launch Detroit is offering Michigan college students and recent graduates the opportunity to get paid to work on their tech startup — and potentially win $10,000 for their business. The 10-week accelerator, held at TechTown, is currently accepting applications for summer 2019. The deadline to apply is April 5. Three information sessions will be held on Jan. 10, Feb. 19 and March 20 from 5:30-8 p.m. at TechTown, which is located at 440 Burroughs St.
To date, nearly 200 students from 25 colleges and universities have participated in DTX Launch, which is entering its seventh year. Select graduates have gone on to enter the TechTown Business Incubation Center program, which provides customized business support services. MySwimPro, a virtual swim coach named by Apple as the “Apple Watch App of the Year” in 2016. Founder and CEO Fares Ksebati is a graduate of the Mike Ilitch School of Business and was a captain of the Wayne State swim team. ToDoolie, an online platform developed and led by WSU students Sergio Rodriguez, Jose Romo-Puerta and Armando Arteaga, that connects busy homeowners with local students to help with everyday tasks like cleaning, yard work and moving furniture. CityInsight, a company that provides real-time technology to help municipal governments streamline operations and improve communication with their customers. The company developed the Detroit Water and Sewerage Department’s online/mobile customer care portal. Founder and CEO Abess Makki is an alumnus of the College of Liberal Arts and Sciences. EnBiologics, a company led by a team of Wayne State biomedical engineering master’s alumni who are developing a veterinary hydrogel that is in clinical trials. DTX is a programmatic partnership between TechTown and several other technology and entrepreneurship organizations. It is supported by the Michigan Economic Development Corporation’s Michigan Strategic Fund, the William Davidson Foundation, New Economy Initiative, General Motors and Bank of America.